Magsaysay Center for Hospitality and Culinary Arts (MIHCA) and Kraft Foods Philippines (KFP) broke a Guinness World Record last December 14, 2009 for successfully pulling off 5,845 unique cheese-infused dishes. It has been almost three years since India last held the 2007 record for creating 4,668 dishes using cheese as one of the ingredients. The prestigious school alongside the country’s well-loved cheese brand has set a notable milestone in the culinary world. Now, MIHCA and Kraft Foods Philippines marked another groundbreaking first as they launch Café 5845 – the first cheese café in the world that will serve the most number of cheese dishes at 5845. I can't think of anything that can surpass that. Ever since it opened its doors to aspiring culinary innovators, MIHCA has made its own name - providing experience-based, industry-relevant, globally-oriented and career-focused education. “We were confident enough to put our program and our students’ learning to the test when we decided to partner with Kraft Foods Philippines in breaking a world record,” Chef Giovasco C. Barlao, Vice President & Head for Operations. Their current groundbreaking success has made worldwide headlines and has given the country great pride. That is why MIHCA, in partnership with Kraft Foods Philippines (KFP) decided to share the culinary victory to the rest of the nation. 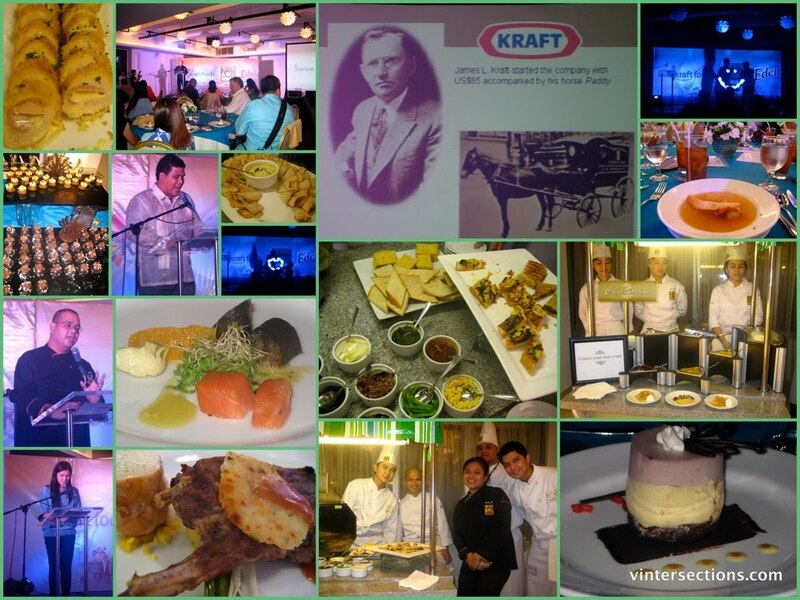 “What MIHCA and Kraft Foods has done gave great Filipino pride that’s why we wanted to commemorate this culinary milestone with our fellow Filipinos,” Alex Dan Tacderas, Category Manager for Cheese and Spoonables of Kraft Foods Philippines says. A two-fold celebration which highlights the school’s journey to a world record has been organized by the two institutions. On June 17, 2010, a golden commemorative marker was mounted on the MIHCA school grounds and on it written were the names of all those who took part in the project. Alongside commemorating culinary heroes, a recipe book authored by famous philanthropist, entrepreneur and cook Ms. Doris Magsaysay Ho was also launched. With the series of activities cooked up by MIHCA and KFP, the nation will experience genuine pride and joy as they take part in this culinary celebration. While Filipino creativity has been celebrated in more ways than one, without a doubt, the way MIHCA and KFP are out to do it is nothing the country has ever seen. You may visit http://sarapngbuhay.com for more details. The combination of Kraft Foods (http://www.kraftfoodscompany.com) and Cadbury creates a global powerhouse in snacks, confectionery and quick meals. With annual revenues of approximately $50 billion, the combined company is the world’s second largest food company, making delicious products for billions of consumers in more than 160 countries. The combined company's portfolio includes 11 iconic brands with revenues exceeding $1 billion – Oreo, Nabisco and LU biscuits; Milka and Cadbury chocolates; Trident gums; Jacobs and Maxwell House coffees; Philadelphia cream cheeses; Kraft cheeses, dinners and dressings; and Oscar Mayer meats. Another 70+ brands generate annual revenues of more than $100 million. Kraft Foods (www.kraftfoodscompany.com; NYSE: KFT) is a member of the Dow Jones Industrial Average, Standard & Poor's 500, Dow Jones Sustainability Index and Ethibel Sustainability Index.